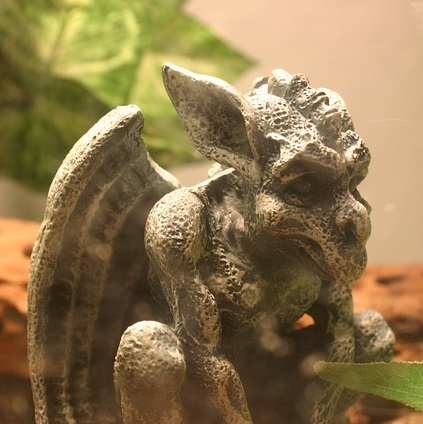 Gargoyle's are just wonderful characters, and are traditionally associated with rainwater, but this Gargoyle is going to be helping the distribution of hot tea. I have always loved gargoyles and gothic architecture. I think the more spooky and gruesome they look the better I like them. 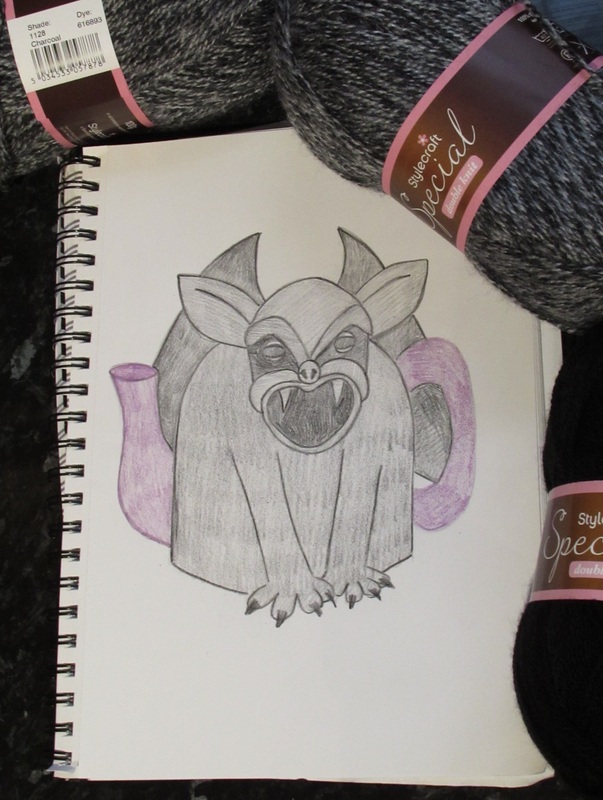 This fascination with gothic looking gargoyles is the inspiration behind the gargoyle tea cosy design. Now I know there are people out there who will correct me and say that a gargoyle is used in a drainage system and that what I am creating is a grotesque tea cosy, but I think that most people will grasp the concept more readily if it’s called a gargoyle tea cosy. I have some Stylecraft Special charcoal yarn for this project. I thought it would give the cosy a more stone like appearance, but I’m not sure if it won’t swamp the detail. I’ll see how it goes. 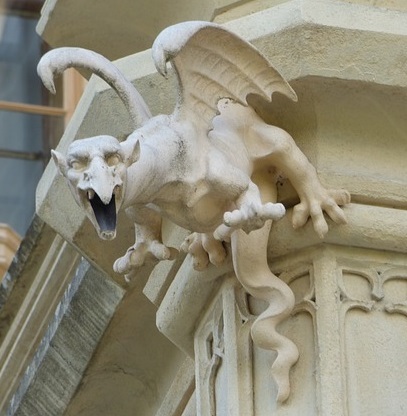 I love the gargoyles with their mouths open as if they are screaming or roaring. Never having knitted something with its mouth open, this is going to be a challenge. As too are his wings. I do love the winged gargoyles, but I’m not yet sure how to achieve that in knitting. I think the gargoyle design will make for a lovely gothic tea cosy. 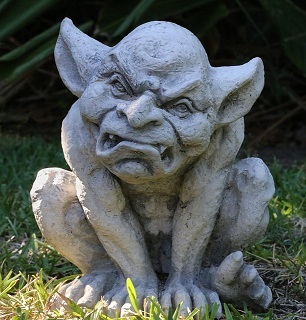 Although it looks dark and sinister, these days we have already invited gargoyles into our gardens in the form of concrete garden ornaments, so I think for a lot of people, we have embraced gargoyles. I really need a purple teapot - doesn't it look amazing? I am going to design his tea cosy whilst at the same time designing a tea cosy for the Simply Knitting Magazine. I can’t tell you anything about the Simply Knitting tea cosy design other than it will be in Issue 172 on sale 19/04/2018. Put a note in your diary!